What Is the Metabolism Trend in Architectural History? 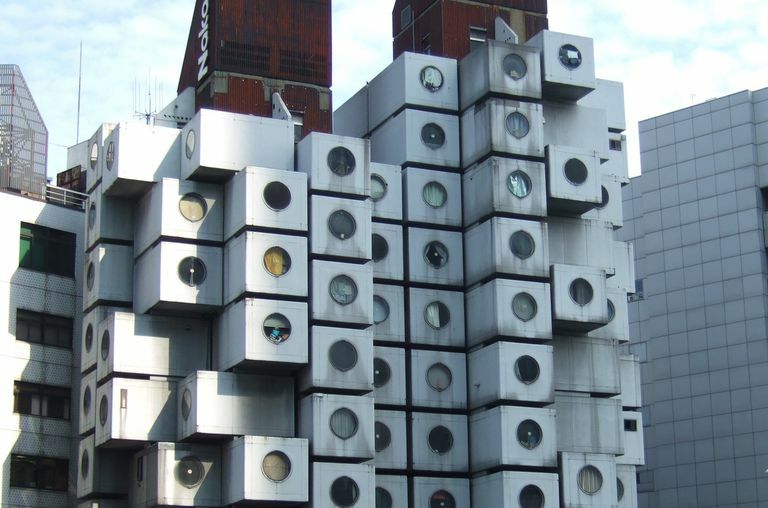 Nakagin Capsule Tower Apartments, an Example of Japanese Metabolism. Metabolism is a modern architecture movement originating in Japan and most influential in the 1960s—trending roughly from the late 1950s to the early 1970s. The word metabolism describes the process of maintaining living cells. Young Japanese architects after World War II used this word to describe their beliefs about how buildings and cities should be designed, emulating a living being. The postwar reconstruction of Japan's cities spawned new ideas about the future of urban design and public spaces. Metabolist architects and designers believed that cities and buildings are not static entities, but are ever-changing—organic with a "metabolism." Postwar structures that accommodated population growth were thought to have a limited lifespan and should be designed and built to be replaced. Metabolically designed architecture is built around a spine-like infrastructure with prefabricated, replaceable cell-like parts—easily attached and readily removable when their lifespan is over. These 1960s avant-garde ideas became known as Metabolism. A well-known example of Metabolism in architecture is Kisho Kurokawa's Nakagin Capsule Tower in Tokyo. Over 100 prefabricated cell-capsule-units are individually bolted onto a single concrete shaft—like brussels sprouts on a stalk, although the look is more like a stalk of front-loading washing machines. In North America, the best example of Metabolist architecture is arguably the housing development created for the 1967 Exposition in Montreal, Canada. A young student named Moshe Safdie burst onto the architecture world with his modular design for Habitat '67. The Metabolist movement filled the void left in 1959 when the Congrès Internationaux d'Architecture Moderne (CIAM), founded in 1928 by Le Corbusier and other Europeans, disbanded. At the 1960 World Design Conference in Tokyo, the old European ideas about static urbanism were challenged by a group of young Japanese architects. Metabolism 1960: Proposals for a New Urbanism documented the ideas and philosophies of Fumihiko Maki, Masato Otaka, Kiyonari Kikutake, and Kisho Kurokawa. Many Metabolists had studied under Kenzo Tange at Tokyo University's Tange Laboratory. Some Metabolist urban plans, such as space cities and suspended urban landscape pods, were so futuristic that they were never fully realized. At the World Design Conference in 1960, established architect Kenzo Tange presented his theoretical plan to create a floating city in Tokyo Bay. In 1961, Helix City was Kisho Kurokawa's bio-chemical-DNA metabolic solution to urbanism. During this same time period, theoretical architects in the US also were being widely exhibited—American Anne Tyng with her City Tower design and Austrian-born Friedrich St. Florian's 300-story Vertical City. It's been said that some of the work at the Kenzo Tange Lab was influenced by the architecture of American Louis Kahn. Between 1957 and 1961, Kahn and his associates designed stacked, modular towers for the Richards Medical Research Lab at the University of Pennsylvania. This modern, geometric idea for using space became a model. The world of Metabolism was itself interconnected and organic—Kahn himself was influenced by the work of his partner, Anne Tyng. Likewise, Moshe Safdie, who apprenticed with Kahn, incorporated elements of Metabolism in his breakthrough Habitat '67 in Montreal, Canada. Some would argue that Frank Lloyd Wright started it all with his cantilever design of the 1950 Johnson Wax Research Tower. The 1970 International Exposition in Osaka, Japan was the last collective effort of Metabolist architects. Kenzo Tange is credited with the master plan for the exhibitions at Expo '70. After that, individual architects from the movement became self-driven and more independent in their careers. 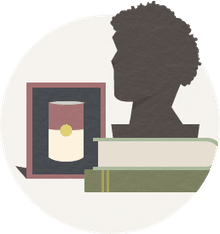 The ideas of the Metabolist movement, however, are themselves organic—organic architecture was a term used by Frank Lloyd Wright, who was influenced by the ideas of Louis Sullivan, often called 19th century America's first modern architect. Twenty-first-century ideas about sustainable development are not new ideas—they've evolved from past ideas. The "end" is often a new beginning. Source of quoted material: Kisho Kurokawa Architect & Associates, copyright 2006 Kisho Kurokawa architect & associates. All rights reserved.